The biggest merger in the Indian telecommunications history between Vodafone India and Idea Cellular is expected to complete in the next few weeks. Post the merger, we will have a new leading telecom operator in the country. Anticipating the merger to be done by the end of first half of 2018, Vodafone Group and Aditya Birla Group today announced the proposed leadership team of the merged entity, which will come into effect once the merger completes. Exactly a year ago, both the telcos announced the merger following intense competition in the industry. Back then, the statement read that the management team of the combined business would be confirmed prior to the closing of the merger. Also, both the companies have expressed their immense appreciation to Himanshu Kapania and Sunil Sood for their successful leadership of Idea Cellular and Vodafone India respectively. The press statement read that both they will continue in their current roles until such time as the merger completes. “The commercial, operational and strategic experience of Sunil Sood and Himanshu Kapania are extremely important to both businesses, and their support will be invaluable during the initial phase of the integration once the merger completes. Sunil Sood will join the Vodafone Group AMAP Leadership Team and also help governance through Board memberships. The Aditya Birla Group intends to nominate Himanshu Kapania as the non-executive Board member of the merged entity,” read the press statement. Vodafone and Idea are currently in the process of securing the required regulatory approvals for the merger and also stated that the merger is expected to be completed in the first half of the current calendar year. 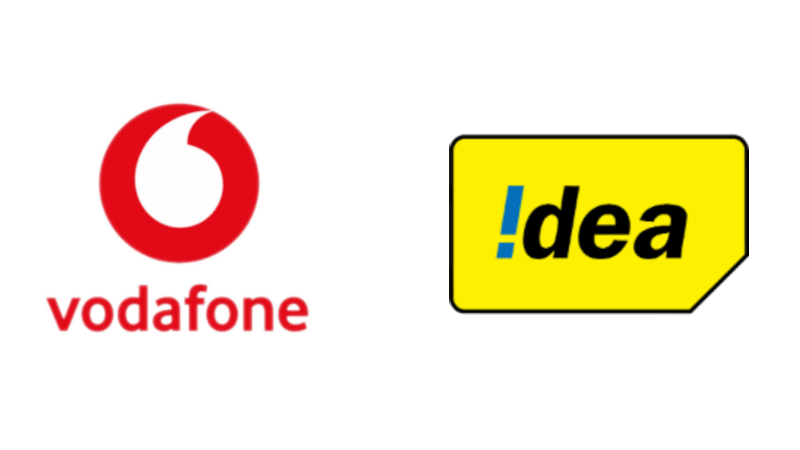 However, do make a note that the existing leadership teams of Idea Cellular and Vodafone India will continue to manage their separate businesses and be accountable for each company’s operational performance until the merger becomes effective. It is only upon completion of the merger that the two businesses will cease to operate as distinct and competing entities. In this move (Idea-Vodafone merger process), BSNL-MTNL have any opportunity to get more customers ? 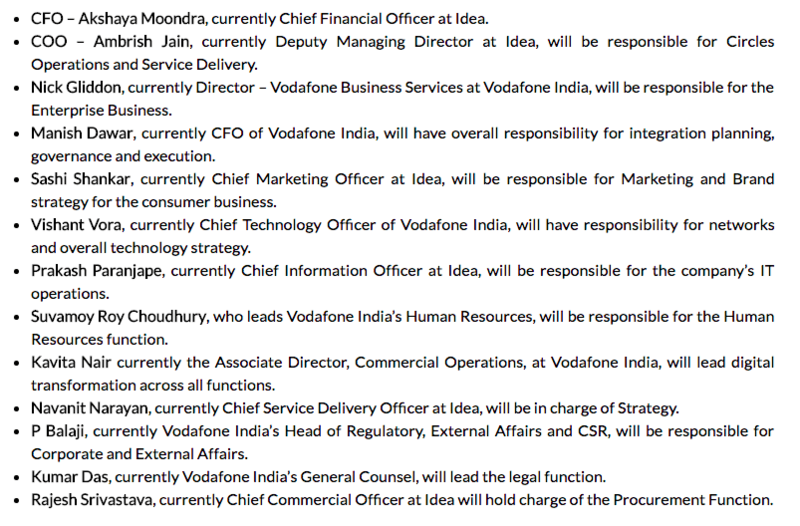 What will be the new brand name of Idea-Vodafone combined entity ? My view is the new brand name is !dea for both network if they have plan to kill vodafone India brand. Nothing is decided on new brand yet. Wait for it. It would be wise to continue IDEA brand though and keep Vodafone mpesa instead of idea money.